​Hi! I’m Business Studies and Economics teacher. I graduated Management and Marketing at Wroclaw University of Economics and Mathematics at Wroclaw University. 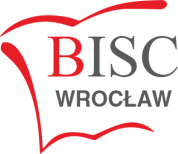 In 2003 I started working as a teacher at Wroclaw University of Economics, where I have taught subjects linked with Economics and Business Studies. Basically, I started teaching as tutor when I was 15 years old and I really enjoyed it from the beginning. Therefore, when I was fourth year student of Economics and was given an opportunity to teach students at the University, I decided to go for it in a blink of an eye. From that moment my real teaching practice began. Teaching at BISC is for me wonderful experience, because it gives chance to work directly with pupils and fully focus on developing their knowledge and skills. I derive the greatest joy from teaching when I see my pupils understanding more and more. I’m really happy to see them getting the satisfaction of becoming better and better in the subject they learn. By learning Business Studies and Economics they also receive an opportunity to use their knowledge to interpret economic and business processes of the surrounding reality. Economic and political news seems not to be so magical anymore! They can also use their knowledge to explain these uneasy to comprehend phenomenon to their family, friends or colleagues. Finally, they can use their new skills in practice; better motivating themselves or the others; or just searching for bargains and negotiating prices with success. However, our most important aim is to prepare properly to IGCSE or A level exams. These exams are crucial in the education for my pupils, so during our lessons we focus in particular on studying to those exams, revising past papers, working under pressure of time and learning useful examination techniques. I also try to encourage my pupils to do their best on exams, improve their fighting spirit skills and support them during uneasy times of taking exams. In my free time, I enjoy playing all kind of sports. Being 1.96 m tall I should probably prefer basketball or volleyball, but I also like to play football. However, I fully relax when I swim or play blitz chess.